Fukushima Governor Yuhei Sato is questioning the honesty of TEPCO President Naomi Hirose after the most recent leaks at Fukushima Daiichi. Recently, Hirose had been speaking to the prefectural assembly, when he promised to give highest priority to containing wastewater at the crippled nuclear power plant. This week, the utility’s continued sloppy handling of the nuclear crisis allowed more radioactive water to escape into the Pacific Ocean. “TEPCO has said it would place priority (on dealing with the contaminated water problem) and that it would inject corporate resources to deal with it, but I doubt their actions match what they have said,” Governor Yuhei Sato told Asahi Shimbun reporters. Workers had connected five tanks together with pipes, some of which were already partially filled with water that had been used to cool the melted nuclear fuel in the crippled reactor buildings. The tanks were installed along a slope, but only the one at the top was equipped with a water gauge. Workers assumed that if they controlled the water levels in the top tank, that no water would spill from the lower tanks, so they continued pouring contaminated water into the tanks. 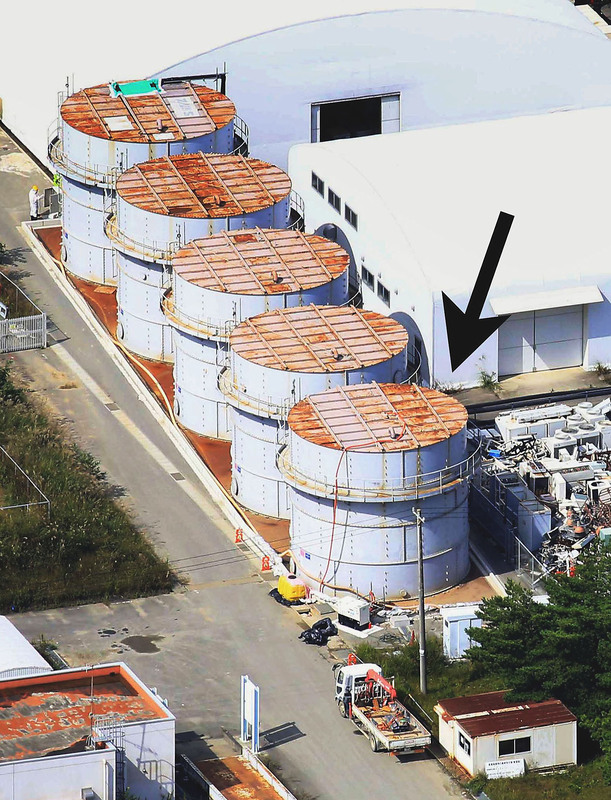 Over 430 liters of highly radioactive wastewater, containing more than 580,000 becquerels of beta-emitting radioactive materials leaked and drained into a rainwater diversion ditch which leads directly into the ocean. After the announcement by TEPCO, Governor Yuhei Sato sent monitoring crews to the site today to measure radiation levels where the drainage ditch meets the ocean, the results of the prefecture’s analysis are expected next week.